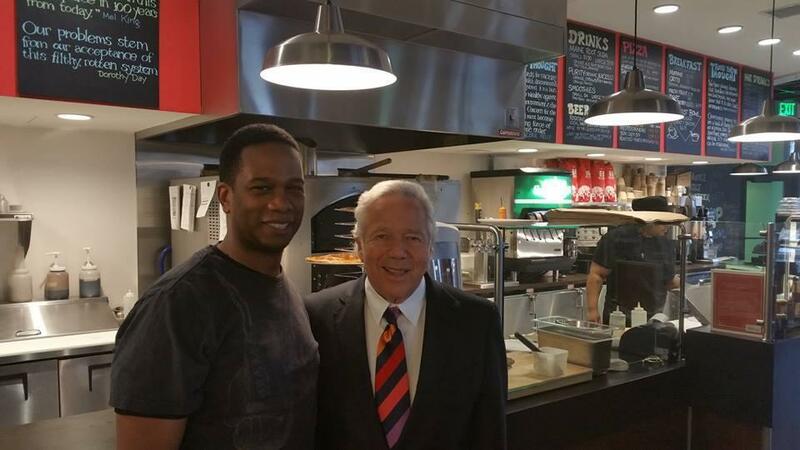 Dudley Dough team leader Luther Pinckney and Robert Kraft. ’Tis the season for giving, and Robert Kraft is certainly getting into the spirit. The Pats owner donated $100,000 to Haley House, a local nonprofit providing food, housing, and employment to people struggling with poverty and homelessness, to support the organization’s second social enterprise restaurant, Dudley Dough. The pizzeria, located in Roxbury’s Dudley Square, provides business opportunities, leadership development, and economic empowerment for entry-level workers in the community. The surprise grant from Kraft was announced Saturday at Haley House’s 50th anniversary celebration.